Can I Draw My Teacher Retirement Early? Different retirement funds have different options for early retirement from teaching. 1. How Do Retirement Plans for Teachers in Pennsylvania Work? The best financial plan sometimes includes early retirement. The employment contract you sign to agree to teach includes details about your retirement fund and the qualifications for benefits. A number of states, including California and New York, operate public employee retirement systems that include teachers and school administrators, but private and charter schools sometimes use other retirement systems for teaching staff. Retirement programs set specific ages to begin early withdrawals, and also specify the number of years of work required before you can apply for retirement benefits. Most pubic teaching retirement programs ask for a minimum of five to 10 years of experience before qualifying for retirement benefits. Many programs also set age limits, typically 55, to begin withdrawals. When you leave teaching, some programs allow you a short window of time to withdraw all of your retirement contributions. This one-time offer sometimes excludes any retirement funds contributed by the district, and you must pay taxes on the lump sum. You may also be subject to an early withdrawal fee imposed by the Internal Revenue Service. Retirement programs reward teachers for longevity, and monthly payment amounts decrease for starting the program early. Benefit calculations take into account the number of years on the job and the amount of the annual salary earned the year before starting to withdraw cash. Some programs use an average of the last three years of service, or an average of the highest salary for any three years, to calculate monthly retirement benefits. Depending on your age and the number of years you have on the job, you may have the option of joining a "golden handshake" agreement. Handshakes offer a group of teachers near retirement age a one-time opportunity to retire at the end of the school year. School districts sponsor the plan by adding cash to "buy-down" the years until retirement. These programs typically require formal approval from the retirement program when the system includes members from other districts and other professions. This retirement incentive benefits the district by removing many of the highest-paid teachers from the payroll. State teacher retirement systems allow you to begin withdrawals when diagnosed with a permanent mental or physical disability prohibiting you from performing your teaching duties. State retirement programs typical require certification from the program's medical board to qualify for disability payments. The board takes into consideration your diagnostic and laboratory tests, medial history, clinical evidence, and statements from your doctor. 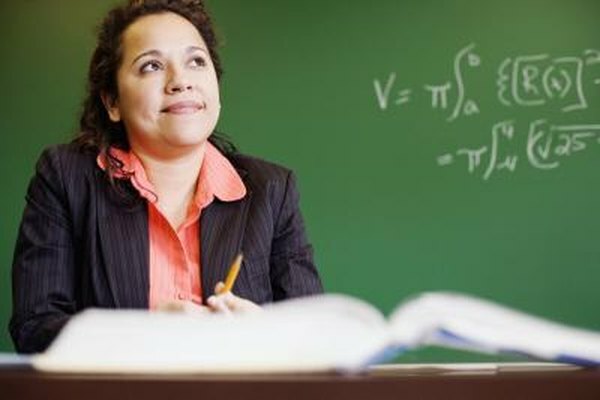 Some charter and private schools organize retirement programs for teachers using simplified employee pension plans, called SEP, and SIMPLE-IRA plans. These accounts follow the same rules for distribution and rollover as traditional individual retirement accounts. You can start distributions from your SEP-IRA at any time, but the money taken from the account counts as taxable income on your local, state and federal tax liabilities. If your age is less than 59 1/2, you'll also pay an extra 10 percent on the money you withdraw, according to the IRS. SIMPLE-IRA accounts require you to work for at least two years before withdrawing funds or you'll pay a 25-percent penalty to the IRS. Can a Marine Reserve Qualify for Retirement Benefits?